Warning: Game of Thrones spoilers below! The Night King is a pretty straightforward villain by all accounts, we all seem to have a pretty good idea of what’s going on in his head. It’s clear he just wants to destroy all of humanity and leave nothing alive in his path – which was, after all, what he was created for. But what if the truth about his motive isn’t actually as straight forward and the reason he’s marching on King’s Landing is completely different to what we thought. 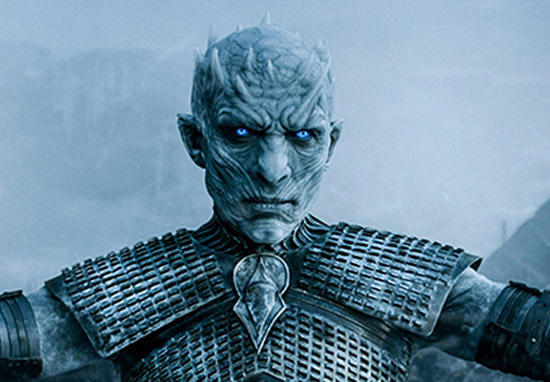 Well, there’s a few theories about what the Night King might actually be up to and most of them centre around the God’s Eye. If it seems strangely familiar to you, it’s probably because it’s been mentioned a few times in the show and a lot of historical events in Westeros take place around the God’s Eye. The God’s Eye is a massive lake to the south of Westeros and in the middle of the lake is an island called the Isle of Faces. Now, the Isle of Faces is significant because it’s the original place where The Children of the Forest made their pact with the First Men – little else is known about the mysterious isle, because nobody ever goes there. Redditors are largely convinced the God’s Eye is significant in some way, though for precisely what reason is uncertain, and this is where the different theories come into play. 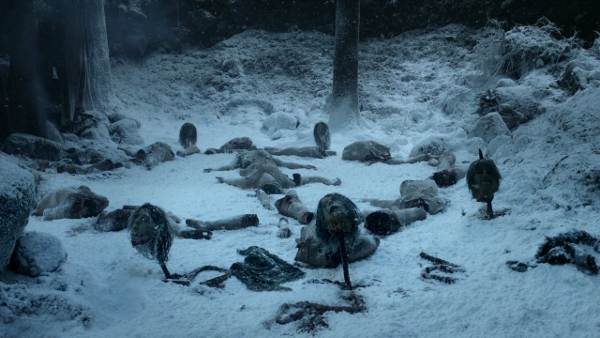 One Redditor, Dajalu84, thinks the opening scene of Game of Thrones, with the bodies arranged in the weird design we’ve seen originated with The Children of the Forest, is actually a recreation of the God’s Eye. Comment from discussion Dajalu84’s comment from discussion "Will God’s Eye make an appearance in S8?". Not all agree on this interpretation of events, though. 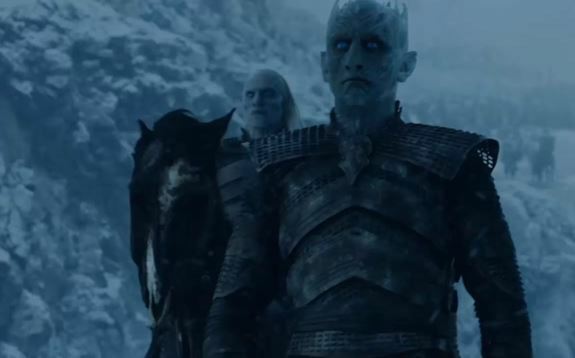 One Redditor, DrackkGoT, thinks the Night King and co. are heading to the Isle of Faces to meet the Children of the Forest, but not to be turned back into the presumably good man he once was. 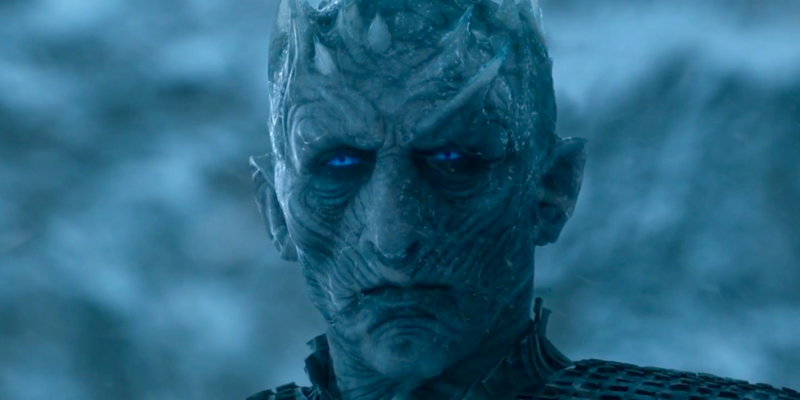 Oh no, this theory speculates the Night King is specifically heading to destroy his creator. The Redditor uses largely the same evidence as the earlier theory to reach a different conclusion. The very first episode shows us this with the pattern the WW make with the corpses. The symbol they make is an eye, surrounded by faces on sticks. The only corpse left untouched is a child stuck to a tree. So it’s not actually as simple as we first thought and it’s definitely more interesting and kind of more terrifying than we could have imagined. We’ll have to wait a while to find out whether these theories turn out to be true, as Game of Thrones won’t be returning for a long while, but it would definitely be more satisfying than just a straight up battle. Will God's Eye make an appearance in S8?